Sir Clive Bossom was born in New York on 4 February 1918 and returned to England as a child before attending Eton. Bossom’s childhood was dominated by a plane crash that killed his mother and older brother, bringing him much closer to his father. During the war he served in Europe and the Far East in the Royal East Kent regiment, leaving the army in 1948 with the rank of Major. He married Barbara North, proposing to her during his 1951 election campaign, and they had four children together. His father was a Conservative MP before he entered the Lords, whose influence in Kent helped Sir Clive become first a County Councillor and later Conservative candidate for Faversham. Sir Clive lost twice in the 1950s before winning in Leominster (1959). During his time on the backbenches his Private Members’ Bill, the Antarctic Treaty Bill, was passed helping ratify an agreement to protect the continent’s environment. Bossom stood down from Parliament in 1974, having succeeded his father as 2nd baronet, to pursue a business career. He was later known for his involvement in motorsport. Sir Clive died in March 2017, and we have featured his interview on our blog. Click here to listen to the full interview with Sir Clive Bossom in the British Library. Then I had a fascinating year and a half in Hong Kong. The war of course had finished and it was a completely new world to me. It gave me time to think of what I wanted to do for the future. There I think I got the idea that politics, having seen so much father had done, and how interesting it could be. I wasn’t really qualified, then, to do anything else… So I thought let’s have a go at politics, it was the reason I resigned my commission and came back. As I said before, I was very lucky to find I could go into local government. I fought Maidstone East on the Kent County Council, and it was quite a battle, I fought it like a general election really. It was father’s political opponent who was chief whip of the Labour party in the county council, so it was a good thing to get rid of him, because he’d made a lot of publicity in local government affairs. Track 1 [00:00:24] [Session one: 2 July 2012] Hon. 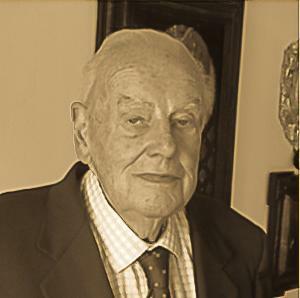 Sir Clive Bossom [CB], born New York, 1918. Introduction. Track 2 [cont. from 59:56] Story about MT asking CB to be her PPS to please AB. Comments about a recent meeting with MT. Remarks about John Boyd-Carpenter’s support for MT. Remarks on losing Faversham. Comments on AB making CB a name a Lloyds which gave him financial security. Comments on BB’s support during campaign. Lengthy, amusing description of courtship with BB. Description of early married life in Kent. [01:11:00] Comments on MPs’ pay and DB’s advice on being a name at Lloyds. Remarks on being adopted by Leominster. Comments on predecessor Archer Baldwin. Details about Adopted Parliamentary Candidates committee and his role on selection committee panel. Track 3 [cont. 01:00:21] Remarks on politicians’ pay. Comments on being a backbencher. Comments on MT’s genuine affection for AB. Comments on AB’s political life. Mentions own inability to pursue similar life. Remarks on belonging to 1900 Club and attending dinners at Carlton Club. Remarks on maiden speech in which he mentioned monorail. Mentions secretary Miss White. Story about winning a Private Member’s Bill in 1966 and Labour party suggesting the Antarctic Treaty Bill. Remarks about Foreign Office writing his speeches and getting the Bill passed. Remarks about trip to Antarctic and his idea to name peninsula in the Falklands after MT. Mentions opposition from Crispin Tickell, president of Royal Geographical Society, and MT’s amusement. Remarks on enjoying Inter Parliamentary Union overseas trips. [01:15:01] Detailed description of trip to Outer Mongolia and visit of Mongolian delegation to UK. Comments on diplomatic nature of trips, visiting schools and hospitals. Remarks on belonging to 1922 Committee, Anglo-Belgian Society and Royal Society of Arts. Comments on AB’s devotion to CB and CB’s children but AB’s refusal to help with school fees. Comments on relationship with AB and AB’s death. Remarks on AB’s and CB’s involvement with Order of St John’s eye hospital in Jerusalem and Iran Society. Comments on Shah of Iran and visit to Iran. Further comments on career after leaving Commons. Mentions AB’s dowry to RSA for annual Bossom Lecture on architecture. [01:31:39] Mentions CB’s membership of RGS, governorship at Oundle school and being offered Lord Mayorship. Remarks on not being a City man. Mentions chairmanship of RAC. Story about his subsequent involvement in restructuring British motor racing. Remarks on being chairman of British Motor Sports Council and involvement with Fédération Internationale de l’Automobile and Formula One. Remarks on Bernie Ecclestone’s contribution to F1. Remarks on moving to Sussex. Track 4 [0:5:12] Remarks on Winston Churchill’s joke about AB [touching chest and bottom]. Mentions Anthony Eden and Bill Deedes. Remarks on AB’s political aspirations, character, political lunches and writings. Track 5 [0:3:32] Remarks on his interest in fire brigades and their improvement, liaison with French brigades. Track 6 [0:14:14] Further remarks on BJ and N.A.A.F.I. club. Further remarks on guidance AB gave to MT. Mentions AB helping Patricia Hornsby-Smith. Remarks on familiarity with Parliament and many MPs on entering Commons. Remarks on serving on committees and relationship with whips. Further remarks on passage of Antarctic Treaty Bill. Detailed anecdote about US reporter telling him about scandal [Profumo] involving a Minister partying at Bill Astor’s house, and CB’s fear that HF was the Minister concerned. Comments on Jack Profumo and the scandal. Comments on need to have a toe in Europe and joining EEC.